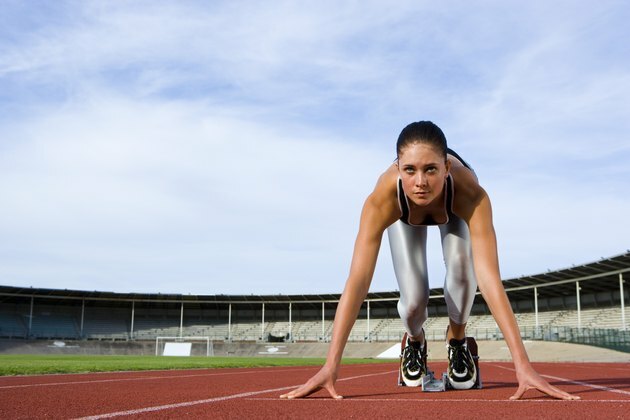 Track and Field athletes must prepare for their competitions way before they reach the starting line. Though competition season typically runs from April to July, athletes must try to stay in shape during the winter months. Pre-season training must focus on programming, conditioning, strength building and proper nutrition. If you want to get in shape for track season, then you should start with a well-orchestrated training plan. Consult your track and field coach to help you build a training program that spans the entire year. There are two different levels of your sports specific plan: strength training and cardiovascular endurance. Your training should begin at least eight weeks ahead of track season's normal training schedule. Your strength building plan should feature exercises that build overall strength as well as muscular endurance. Your cardiovascular training should build gradually. Aim to improve your training mileage by at least 10 percent every week. During track season, you're going to need muscular endurance to get through relentless training drills and practice races. The pre-season is the perfect time to fine tune your training and put in some extra work in the weight room. Also, if you're worried about a nagging injury such as tendinitis, then strength training is one of the best ways you can prevent aggravating the injury during track season. Start a routine about eight weeks beforehand and you can get your muscles toned and in shape with just two to three sessions a week. Do exercises such as squats and calf raises for the lower body and the bench press and upright row for the upper body and core. You can still hit the track during the off season. Try getting up to speed for the season with the 10-20-30 method. Warm up with a low-intensity run. Then, move on to a set of interval drills. Maintain a light pace for 30 seconds. Build up to a 20-second run at moderate pace and then finish up with a 10-second burst at full speed and power. Repeat this interval drill three to five times over a five-minute period with intermittent rest periods in between sets. One key way to get in shape for track season is to be more conscious of what you eat. The off season also coincides with several holidays, which might compel you to eat way more than what you would during the regular season. Eat smart and avoid the sweets. 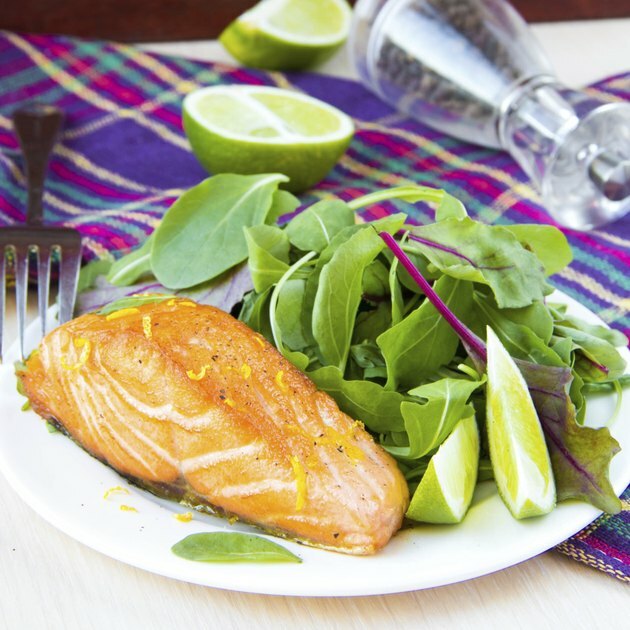 Eat plenty of lean protein and fish as well as plenty of vegetables and fruits. Stay hydrated by drinking plenty of fluids before, during and after your training sessions.